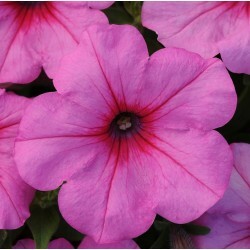 Soft mid-green foliage spreads to 3 feet and disappears under a riot of passionate pink blooms. 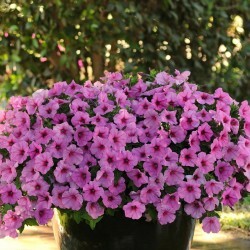 A fast growing petunia that has excellent tolerance to heat and cool weather conditions Easy Wave blooms freely all season without cutting back and deadheading. Pkt. 10 pelleted seeds.